1. Rub the sacrum warm. Stand with the legs shoulder width apart, feet parallel, both big toes lightly turned inward. Place the nine points of the feet firmly on the ground. 2. Start with lightly twisting and spiraling the ankles and knees counterclockwise. This will make the feet, the leg and the thigh bones become one piece. Press the feet with force and twist the heel inward, and the big toes outward. The feet are still firmly placed on the ground creating a balance and find the feeling of "in but not in- out but not out". In this position the sacrum is closed. 3. Exhale, press the heels firm and turn the heels outward, with the big toes inward, press the whole legs down and press them firmly to the earth. 4. 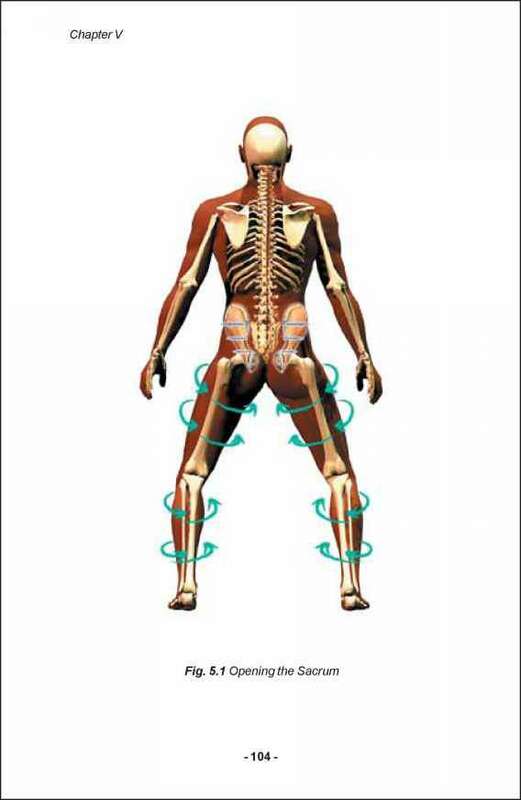 This will create a tension in the tendons and so the feet and legs become one piece which attach to the hip bones. This will help pull open the hips lightly separate from the sacrum. When you open the sacrum in this way, it feels like you are pulling the hips to the sides. Actually, you are also pushing the sacrum to the back, tucking the coccyx in and opening the pelvis. This will make the base bigger. Some people might feel pain in the sacrum. 5. 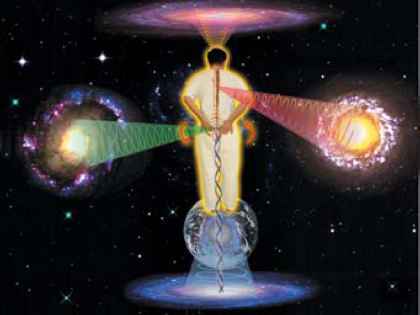 Keep the knees and ankles aligned all the time and connected with the earth. 6. Activate the Pumps to connect the Hips to the Spine a. Activating the hips and the sacrum (pump) by pushing back and align with the spine. b. Activate the T-11 pump by pressing the point lightly back and align with the spine. c. Activate the cranial pump by pushing the chin back and raising the back of the crown high. This will help stimulate the flow of the spinal cerebral fluid through the spine to the brain. This will nourish the brain and enhance the clarity of our thinking and the activities of the central nervous system. 7. Squatting will also help to open the kua especially the sacrum and the hip joints. Squatting is a powerful and effective way to open the kua and the sacrum. For many people in the world it is still common to sit, talk, eat, empty their bowels, giving birth, meditate relax and restore the energy flow in this squatting position. Fig. 5.2 Squatting while gathering the Earth Force. 8. The squatting position also provides a deep massage and enhances the Chi and blood flow to all organs in the Lower Tan Tien, including the small and large intestines and the fasciae. It releases gases and is very helpful in relieving constipation. 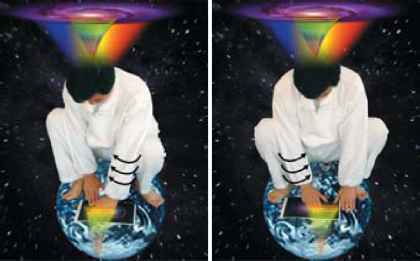 (See the book, Elixir Chi Kung by Mantak Chia). - Put your hands on your sacrum and pubic bone and rotate the sacrum in both directions not moving the hips. - Hold your hands again on the sacrum and move the sacrum back and forth. Fig. 5.3 Spiral the Sacrum. How to align the sacrum? How to open the sacrum? What is the sacrum pumps? 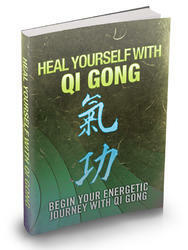 How to gather chiin tan tien in chi kung?